Are you considering going to work and wondering how it will affect your benefits? 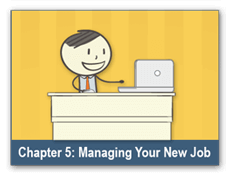 Are you ready to start the journey toward work but don't know where to begin? 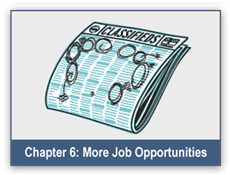 Maybe you're looking for work but need help finding the right job. 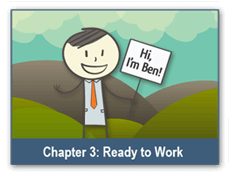 No matter where you are in the process of going to work, this training can help you learn more about the resources available to you as a Social Security disability beneficiary. Click the right arrow, labeled "Next", to continue with this training. Many people who receive Social Security Disability Insurance (SSDI) and/or Supplemental Security Income (SSI) ask themselves: "Am I ready to work?" People who say "YES" to this question and begin the journey to employment find that it changes their lives! 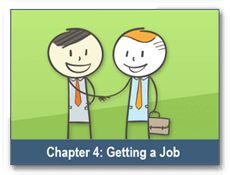 They find they can earn more money, gain greater financial independence, meet new people and learn new skills. But many people who think they might want to try working are not sure where to start. or Medicare or Medicaid and be worse off than when they started. And, even though they're interested in working, for many people, the process seems overwhelming. 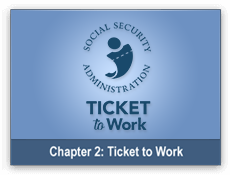 The good news is that free help is available for people who want to work their way to a better future: Social Security's Ticket to Work program! 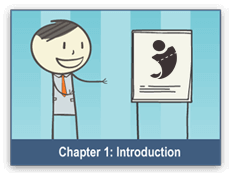 This training can help you learn more about the resources available to you as a Social Security disability beneficiary. Each chapter of this training will guide you through different aspects of the Ticket program and will explain the benefits that are available to you.